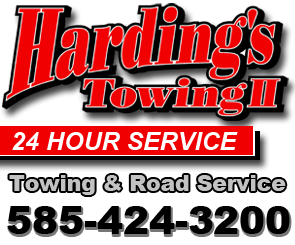 Harding's Towing II provides 24 Hour Service! Accident Cleanup, Load Shifts, Load Transfer, Cargo Hauling and much more. Harding's Towing II is committed to being the premier provider of quality, affordable towing in the greater Rochester area. Since 1975 we have consistently delivered outstanding service and excellent value to our customers.